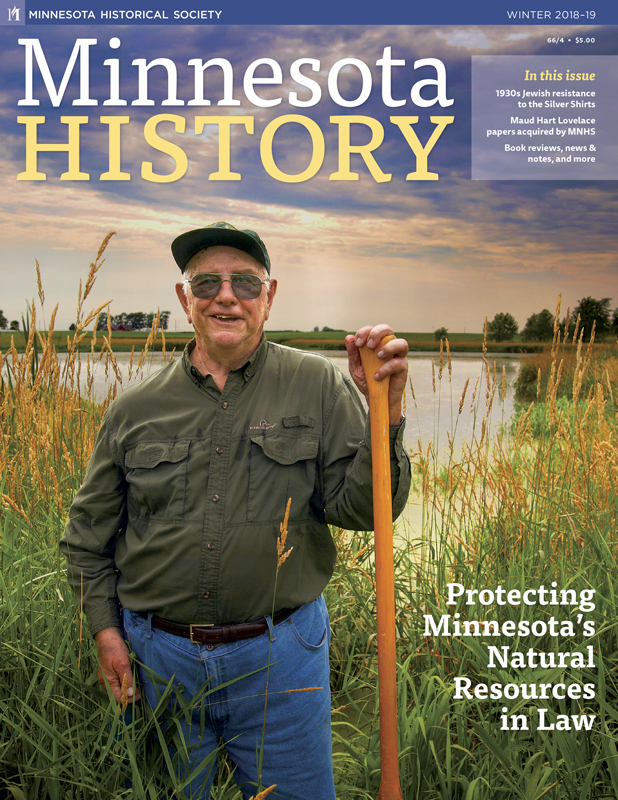 We at Agate magazine are delighted to share the news that a three-year project to record the memories of people involved in creating Minnesota’s early signature environmental laws has reached fruition with publication of an article in Minnesota History magazine. The cover of the winter issue is a cheerful photo of farmer/environmentalist Bill Bryson standing in front of the wildlife marsh that he defended against the county highway department, which planned to build a road through it. Bryson’s case became the precedent in which the Minnesota Supreme Court affirmed the Minnesota Environmental Rights Act (MERA). Agate readers have enjoyed “Reporter’s Notebook” sketches of Chuck Dayton, John Herman, Bob Dunn, and Grant Merritt, four of the nine men interviewed in the oral history project. The Minnesota History article expands these and other interviews into a coherent narrative of the passage of MERA in 1971 and the Minnesota Environmental Policy Act in 1973. It reminds readers of the mood of the early 1970s, when “Everybody wanted to be green,” as Dayton put it. And it summarizes court cases in which these laws have been used to protect the state’s resources, from saving the historic Minneapolis Armory from the wrecking ball to pushing Interstate 35 to the east in a broad S-curve to avoid cutting across Eagan’s Blackhawk Lake. You can read the article here (PDF).